Software developer among charter members to new blockchain-focused organization. McLeod Software is a major leader and innovator in trucking software applications. We are ecstatic they have elected to join us in this journey in developing the next great technology. McLeod Software has joined the Blockchain in Trucking Alliance (BiTA), a new organization focused on the promotion and educational efforts to utilizing blockchain technology in the transportation ecosystem. McLeod Software (http://www.mcleodsoftware.com) joins Triumph Business Capital, TransRisk, P&S Transportation, U.S. Xpress and Convoy as Members. BiTA (http://www.bita.studio) believes blockchain is one of the most significant developments for the industry since the creation of the internet. By providing more clarity and standards around blockchain through education and promotion of the technology, BiTA intends to be the leading blockchain voice for the industry. Through engagement of the brightest minds from the most influential leaders in transportation, finance and technology, BiTA will build the first set of transportation industry-specific blockchain standards. 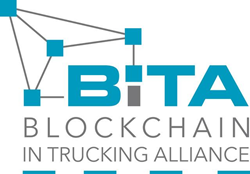 BiTA is focused on providing educational resources and open forums to those in the industry interested in leading the evolution of the trucking industry through the efficiencies offered in blockchain technology. So many great transactional technologies that proliferate our industry are grounded in commonly accepted standards - including BOLs, EDI, ISO, and Ascii. All of these, BiTA says, will benefit from blockchain and help participants improve workflows. Companies that work with McLeod Software gain a comprehensive transportation management solution that ensures they are running their businesses and managing capacity in the most efficient and effective ways possible. McLeod Software is the leading provider of transportation and logistics solutions for CRM, dispatch operations, EDI, accounting, fleet, carrier, driver and HOS management, business process automation, visual workflow, and document management systems, all specifically developed for trucking. McLeod Software's advanced transportation management solutions and services enable their customers to increase efficiencies while reducing costs.